Added by Indo American News on July 2, 2015. HOUSTON: Bollywood Dance Theatre took an Art form as colors, hues and costumes adorning the Miller Outdoor Theatre on June 28, with Karma presented by India House and Naach Houston. 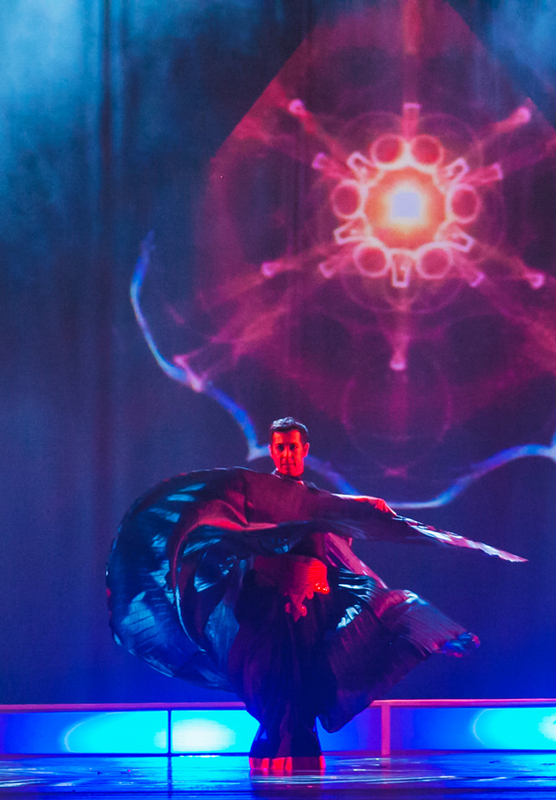 A visually spectacular production coming from none other than Houston’s own Bollywood personality Mahesh Mahbubani the Artistic Director of Naach Houston and his talented team. 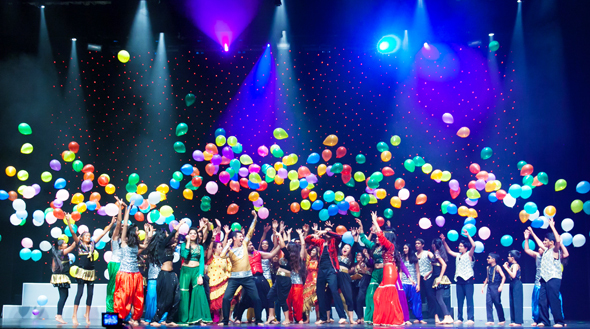 The show opened to a packed audience on a Sunday night, of over 7000 people from Houston’s diverse cultural background. Vipin Kumar, the General Manager of India House welcomed the audience, followed by a short film highlighting the activities at India House. At promptly 8.40 pm, Naach Houston with it’s amazing performers graced the Miller stage, mesmerizing the audiences with a reverberating opening dance to ‘India Waale’, to a thunderous applause. The story of Karma, scripted by Mahbubani is a saga covering two generations, it is story of love, passion, and integrity, Karma: Set in a non-linear story telling format, goes back and forth with nostalgia and reminisce telling the story of Veer and Naina, our characters, their choices and the Karma they create together.. 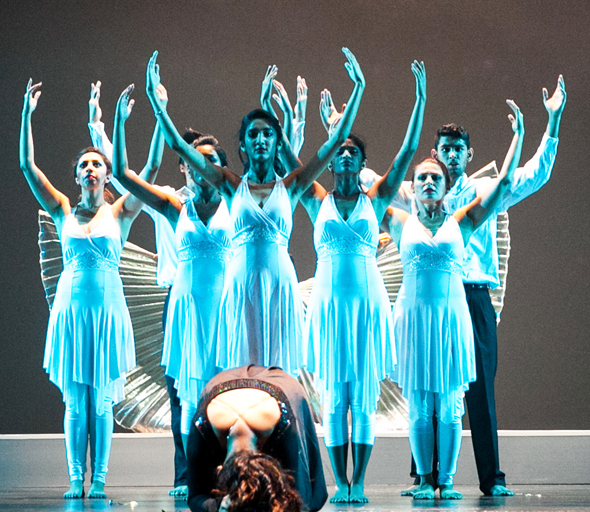 Such a story format in itself is tough to create on a live stage, but under Mahesh’s directions and supported well by Arif Memon’s able light direction, the Naach crew truly created a tapestry of art – all home grown, from Houston. The story of Karma begins in the present followed by a flashback to India about 25 years ago, two good friends are in a dance production – Naina (played by Star Gilani – young, Sapna Thadani – mature) gets a scholarship from a dance school in US and decides to leave, Veer (played by Sahil Thakkar – young, Malay Vyas – mature) is heartbroken because he sees their relationship much beyond friendship. Time heals lost love and Naina finds Aryan (Shah Ahmad) in the US while he finds Zara (Meenakshi Kumar – young, Brinda Patel – mature) in India. Time flies, their children grow up and meet. Shaan is Naina and Aryan’s son while Sanjana is Veer and Zara’s daughter. Karma makes them meet and fall in love. Their love story is well depicted through teenage years (played by Zohair and Rhea) and adult years (played by Chris and Shailee). When the parents consent to Shaan and Sanjana’s wedding, they realize that there are timeless connections that still bind the heart. Naina and Veer meet again at an airport in India and things start moving in slow motion. All’s well that ends well as is true in all Bollywood movies, and so does Karma. The time capsule connections are shown well by the use of same songs at different times in the show (manwaa laage), Aryan’s death scene and the contemporary numbers that follow (Duhaai and Thousand Years) can bring a tear to the discerning eye. Mahesh’s solo on Tose Naina depicting Aryan’s transition into the light, was a true master class performance from the veteran . The Backstage management executed efficiently by the Miller Staff and the Naach Volunteer team to bring in intricate props and sets is another area worth commending. Mahesh’s 6th directorial production at the Miller outdoor Theatre, working with an amazing crew that help to create the magic. with sophisticated use of elaborate backdrops, stage design, stunning visuals integrated with the scenes. The performance lasted a little over two hours transcending the expectations of a “typical” Bollywood show. India House and Naach Houston thank the sponsors Chaudary and Angela Yalamanchili and Dr. Manish Rungta of Bay Area Gastroenterology for their support and generous investment in Naach Community Art. Karma Performance Photography was covered by Navin Mediwala, A Media / Foto King Digital (Video) and Manisha Gandhi of TV Asia (media coverage). A Special mention for Miller Theatre Advisory Board as well as to the technical team at Miller who enable dance theatre companies like Naach to put up a truly entertaining show. 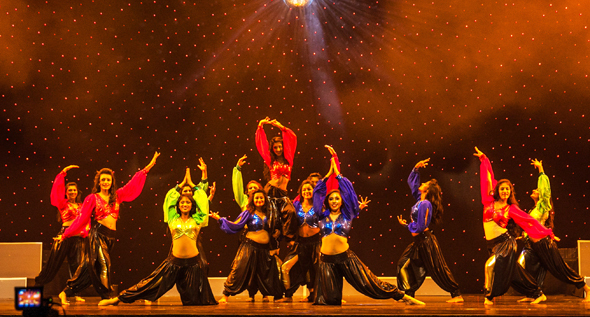 Naach Houston was established in 2011 as Houston’s first full time Bollywood Dance and Fitness Studio with a vision of creating a Community Dance and Fitness Program in the Greater Houston area and its suburbs. Their work focuses on nurturing, developing and empowering individuals using Indian Contemporary and Bollywood Fusion dance forms.